One of the more remarkable signs of the cracks and crisis in the Zionist movement is the growing number of Jewish youngsters prepared to say ‘no’ to the blandishments of Zionism. Who refuse to accept the kith and kin argument that you must not criticise Zionism and Israel because blood is stronger than water, you are betraying your own, the Jewish tribe must protect itself etc. The old charges of ‘self hatred’ are like water off a ducks back and it is something that is an accusation that simply draws attention to the lack of any intellect or analysis of the Zionist flunkey making it. Appeals to blood mean a lack of reason. When I ‘came out’ as a Jewish anti-Zionist 40+ years ago there were no role models, no one to inspire you. The only Jews who were anti-Zionist were in far left groups. I joined the International Socialists (now the SWP) which was led by Tony Cliff (Yigal Gluckstein as the fascists never failed to call him) who was a Palestinian Jews expelled by the British for being a communist (with the support of the Zionist ‘trade union’ Histadrut). But Cliff rarely spoke about his experiences and wrote very little too. The first anti-Zionist pamphlet which I read was the classic ‘Class Nature of Israeli Society’ by Moshe Machover, Haim Hanegbi and Akiva Orr (it was first printed in New Left Review). Although it was wrong in the belief that the incorporation of Palestinian labour from the West Bank and Gaza Strip would result in Israelis being dependent on those they had expelled (Israel today prefers migrant labour from Asia), virtually everything else was spot on. But Jewish anti-Zionists, of whom I met a few in Brighton and as I became more outspoken nationally, including Liverpool where I established a life-long friendship with American exile, Sam Semoff, were still a rarity. But the 1982 war changed all that. A few years previously the Jewish Socialists Group had been formed. Although it had originally been set up by an ex-Communist Party member Aubrey Lewis, in order to attract those Jews who were drawn to the New Left it soon veered off in the direction of Bundism. But for the JSG Palestine was never a priority. 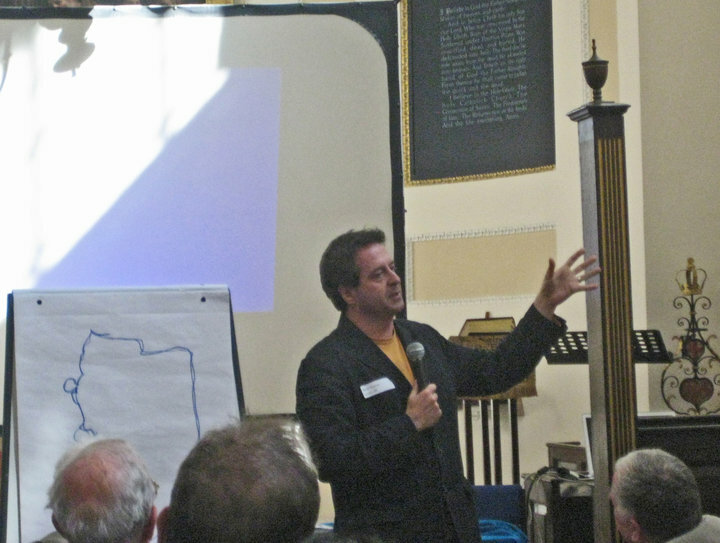 Jews for Justice for Palestinians was also set up a few years later and although it was always considered the ‘soft left’ of the anti-Zionist left it undoubtedly contributed to changing the atmosphere. When the JSG was set up, the Board of Deputies of British Jews held urgent talks about what to do about this challenge! But today there are hundreds of Jewish youth and not so young who reject Zionism in Britain and in the USA there are major splits appearing. Jewish Voices for Peace has over 100,000 signatures. It has steadily moved towards a Boycott position. American Jews are in an invidious position because many of them are not recognised as Jews by those who control the rabbinical institutions in Israel. Converts will not be recognised at all, and nor will the offspring of a marriage where the woman is non-Jewish. There is also greater recognition that Israel is a positive liability for Jews today and a growing repugnance against its far-right policies. It used to be said that Zionism insisted that American Jews leave their liberalism at the door when Israel was on the agenda. However today they can see that their anti-Semitic foes, people like Glenn Back and John Hagee, are the darlings of the Zionist institutions. This is an interesting essay, written for Martin Luther King day. I decided to make one last appeal to my religion. If it could not answer my misgivings, no one could. The next time I attended a service, there was an open question-and- answer session about any point of our religion. I wanted to place my dilemma in as clear and simple terms as I knew how. I thought out my exact question over the course of the seventeen-minute cello solo that was routinely played during service. Previously, I had always accepted this solo as just another part of the program, yet now it seemed to capture the whole essence of our religion: intelligent and well- crafted on paper, yet completely oblivious to the outside world (the soloist did not have the faintest idea of how masterfully he was putting us all to sleep). When I was finally given the chance to ask a question, I asked, “I want to support Israel. But how can I when it lets its army commit so many killings?” I was met with a few angry glares from some of the older men, but the rabbi answered me. “It is a terrible thing, isn’t it?” he said. “But there’s nothing we can do. It’s just a fact of life.” I knew, of course, that the war was no simple matter and that we did not by any means commit murder for its own sake, but to portray our thousands of killings as a “fact of life” was simply too much for me to accept. I thanked him and walked out shortly afterward. I never went back. I thought about what I could do. If nothing else, I could at least try to free myself from the burden of being saddled with a belief I could not hold with a clear conscience. I could not live the rest of my life as one of the pathetic moderates whom King had rightfully portrayed as the worst part of the problem. I did not intend to go on being one of the Self-Chosen People, identifying myself as part of a group to which I did not belong. When Rabbi Meir Kahane was elected to the Knesset for Kach, a Jewish Nazi party, Zionists who opposed him feigned shock when he said that Israel could be either a democratic state or a Jewish state. Yet all Kahane was doing was to be honest. Either Israel is a Jewish state or a democratic state. Is it a state of its own citizens or only its Jewish citizens plus Jews in the rest of the world? The Zionist movement is quite clear about this. One of the most important Zionist organisations, the Jewish National Fund, has had more than its fair share of bad publicity recently. ‘I`d like to save you some work phrasing the new law regarding purchase of JNF lands. I hope you will be able to appreciate the help. It doesn’t take much effort to work out which country Ben-Artzi is referring to. But it was realised that the JNF Bill as proposed was too crude and might even be struck down by the High Court. Instead in March 2011 an ‘Acceptance to Communities Bill’ was passed which allows ‘community standards’ committees to reject applicants to live in a town or village based on the prejudices of existing residents. It is clear that this is aimed at Arabs, but other minorities such as single parents, gay couples etc. will be caught. Today it is recognised openly by the present right-wing Zionist administration that if your key aim is the preservation of a Jewish state, then Arabs inside Israel can never be allowed to form a majority. After all how can you have a Jewish state if the majority of its inhabitants re not Jewish? In 1948 this conundrum was solved by the expedient of expelling ¾ million Arabs from their homes – the Nakba. Today this solution is also desired but at present isn’t politically possible. The alternative is pretty much what we’ve got. A mini-bantustan in the West Bank run by Mahmoud Abbas, his unelected Prime Minister Fayad and the various Palestinian security forces. The solution in other words is a form of ‘autonomy’ which justifies denying 3.5 million Palestinians the vote while continuing to rule over them. In other words Israel runs a nakedly Apartheid state in the West Bank and a more subtle on in Israel itself. That is why those who support a 2 State solution, whether they realise it or not, are doing the work of Zionism for it by advocating a position which reinforces Israel’s position as a ‘Jewish’ state. But in Israel there is a ‘demographic fear’ not only in respect of the Palestinians of the Occupied Territories but within Israel itself, where there are 1.4 million Arabs. They are not wanted but tolerated for lack of any alternative, though a ‘peace agreement’ would be the signal to transfer most of them to the newly set up Bantustan. Benny Katzover, one of the founders and prominent leaders of the settler movement, takes off all masks. He declares himself in clear and unambiguous words to be a sworn enemy of democracy, striving to dismantle and destroy the democratic regime in Israel and replace it with a "Jewish" dictatorship of a nationalist – theocratic – racist character. Katzover no longer sees any need to pay even lip service to democracy, as he and his friends did for many years. He now speaks openly and brazenly, without apprehension of being hurt by this candor. He sees and feels that the liquidation of democracy has now become a tangible and realistic option on the Israeli public agenda. Indeed, it's impossible to go on avoiding a decision. Either the military and settler dictatorship already in existence in the Territories would penetrate into all parts of Israeli society, eliminating what is left of democracy in Israel and eventually bringing about an end of Israel itself - or the sane forces in the Israeli society will rally at the last moment to put an end to the occupation and settlement, maintain and strengthen democracy and achieve peace between Israel, the Palestinians and the Arab World. Between these two choices there can be no bridging and no compromise. Haaretz reports that settler leader Benni Katzover calls for dismantling democracy and “bowing to Judaism,” and the leader of the right-wing coalition aids “price tag” activists. Can we discuss the treason of the right yet? 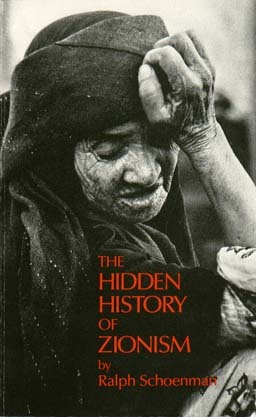 Referring to the struggle against gender exclusion, Katzover sailed on the seas of conspiracy, saying, “The leftist activists are cooking timed campaigns against anything that smells of holiness, and they have two goals: One is political – undermining the government and gathering bonuses in public opinion, and the other is to act against all the foundations of Jewish faith.” It’s an interesting look into a leading settler’s world: On the one hand, gender exclusion is “holiness”; On the other, leftists are Erev Rav – Amalekites who pretend to be, or believe themselves to be, Jews, who are seen as such, and yet whose whole existence is undermining “anything that smells of holiness.” Katzover, when asked for comment by Haaretz, confirmed his comments. 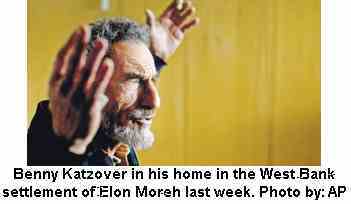 Katzover gains a point for no longer pretending, as most settler leaders still do, that he values democracy. Religious Zionism, as that pig who shows his cloven hoofs so that people will mistake it for a kosher animal, always claimed to support “Jewish democracy.” As anyone who actually studied in that world knows, democracy is described there as a Greek construct, alien to Judaism. When democracy is spoken of, the rabbis kept mentioning the biblical injunction “thou shall not follow a multitude to do evil.” It would be interesting to know how many settler leaders think like Katzover, but do not, as yet, dare say so openly. This isn’t the only time Katzover was mentioned in the news lately. On Friday, Shahar Ginossar – who is showing himself to be one of the bravest reporters around – demonstrated in “7 Yamim”, Yediot’s weekend supplement, that Katzover, together with Gershon Messica, inspire the “price tag” campaign. 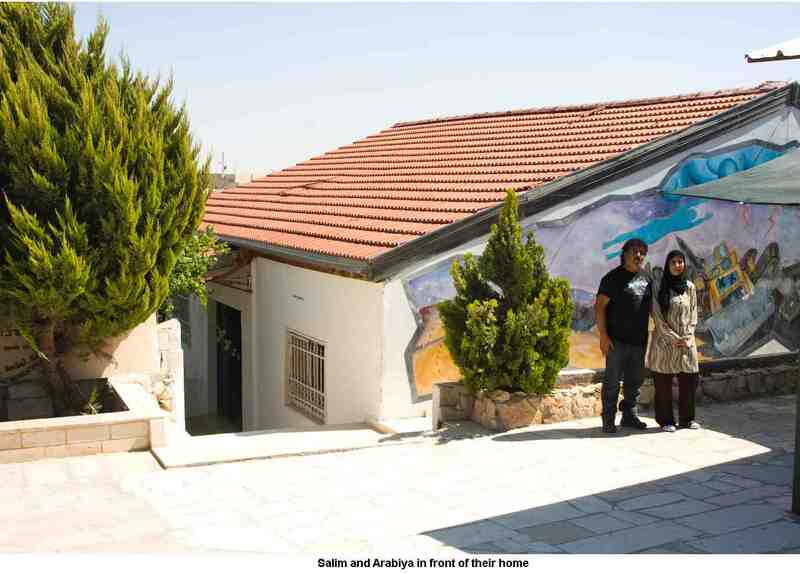 The two of them discussed the attacks on the IDF and random Palestinians openly on some internal settlements publications, arguing that without “price tag” attacks, the settlers cannot prevent the removal of illegal outposts. The local council of Shomron, led in the past by Katsover and now by Messica, transferred funds – government funds – to finance what could have led to “price tag” attacks. Messica and Katsover also refrained, time and time again, from denouncing those attacks. You didn’t have to be a strategic genius to believe that the “price tag” activists, breathlessly described by the media as anarchists over whom the settlement establishment has no control, are in fact Yesha Council of settlement’s special forces. After all, the weapon the Council used to threaten Israelis with for the past 30 years was the “extremists” over which it ostensibly “had no control.” Well, it seems at least some of its members did have control over them. Will the Yesha Council cast out Katzover and Messica? That’s a funny one. Its disavowal of “price tag” attacks is only meant to preserve its normal position as the political arm of Jewish terrorism. It’s time to remind people that the legendary Yesha leader, Ze’ev “Zambish” Hever, is a convicted terrorist. 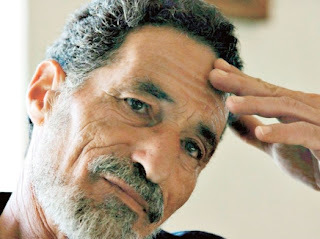 In the early 1980s, he tried to blow up a Palestinian activist, Dr. Ahmed Natsha. The device didn’t go off, and due to “health concerns,” Hever – then called Friedman – got off with just 11 months in prison. Hever’s terrorist past didn’t harm him any, and that’s an understatement. At the time, of course, the leadership of Gush Emunim spoke of “extremists” just as it does now, while trying to conceal the metaphoric hissing fuse coming out of its pocket. 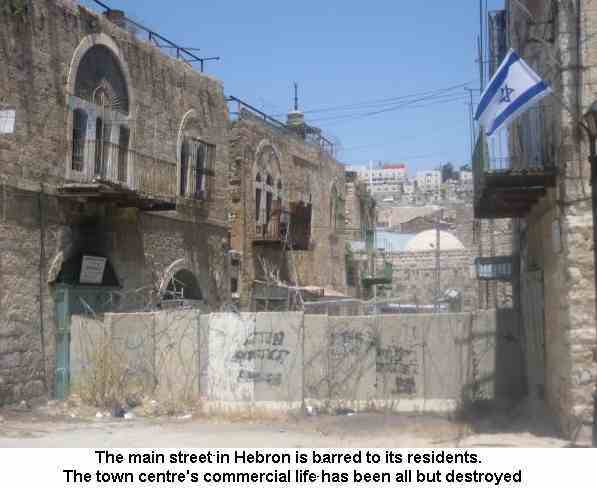 Yesha Council’s quiet support of Jewish terrorism is not limited to attacks on Palestinians. 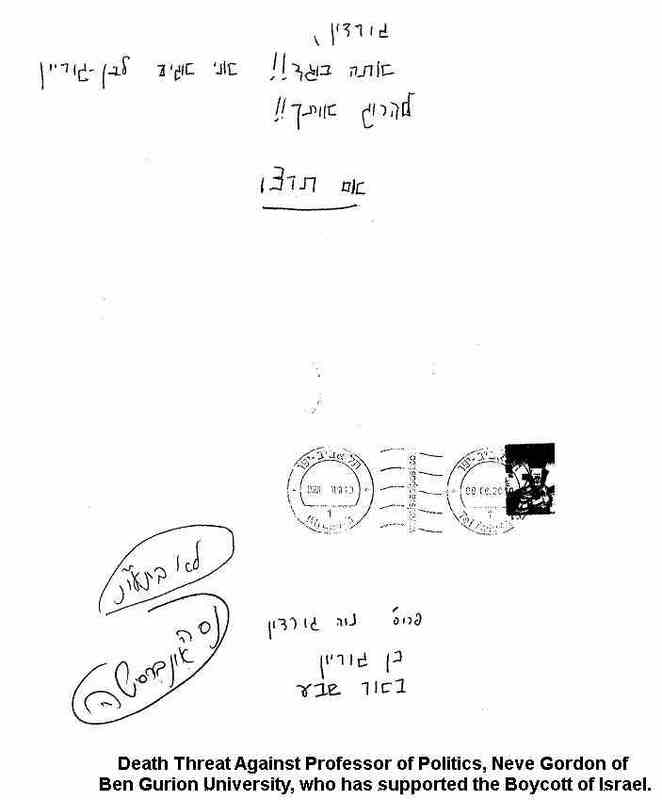 In January 1996, two months after the Rabin assassination, a yarmulka-wearing young man, Ohad Bart, tried to run Meretz minister Yossi Sarid’s car off the road. He was then a Bnei Akiva instructor. He kept his status – which he would have lost had he been caught eating in a non-kosher restaurant – and ten years later, in 2006, he was a Yesha Council functionary and a Knesset candidate on behalf of Ha’Ichud Ha’Leumi, a settler party. We’re not finished yet. Katzover and Messica, along with their local council, may have inspired and supported “price tag” attacks, but today we learned (Hebrew) that the pogromchiks had a very prominent collaborator: MK Ze’ev Elkin, the chairman of the coalition. He does not deny passing information to “price tag” people telling them where the army was not planning to act, enabling them to deploy their forces in a more accurate manner. Now, Elkin is obviously not a spy, just as the “price tag” people who gathered information on the army’s activities aren’t. The question whether Elkin is a traitor, however – in the moral sense of the word, not, naturally, the legal one – is more complicated. Elkin took an oath to maintain “loyalty to the State of Israel and to faithfully execute [his] calling in the Knesset.” When he gave information to the “price tag” people, which was supposed to derail military activity ordered by the lawful government, did he commit treason, or not? Let’s just say that Elkin is lucky to be a Jew and not an Arab; Otherwise the Knesset would already be discussing the removal of his immunity. As he is a Jew, it’ll be a surprise if even the Ethics Committee bothers itself with his perfidy. So: We have a senior Yesha Council operative saying Jewish democracy must be dismantled or killed, while conspiring with another to support “price tag” attacks – aided and abetted by the leader of the right-wing coalition. Isn’t it time we asked some hard questions about the loyalty of the right, particularly the religious right, to Israeli democracy? Israel's democracy has long been a point of pride for its citizens, setting the country apart in a region of autocratic governments. 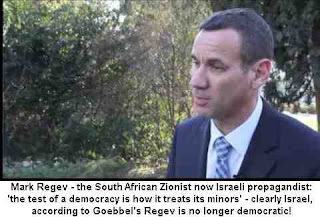 But veteran settler leader Benny Katzover says democracy is getting in the way of what he believes is a higher purpose. 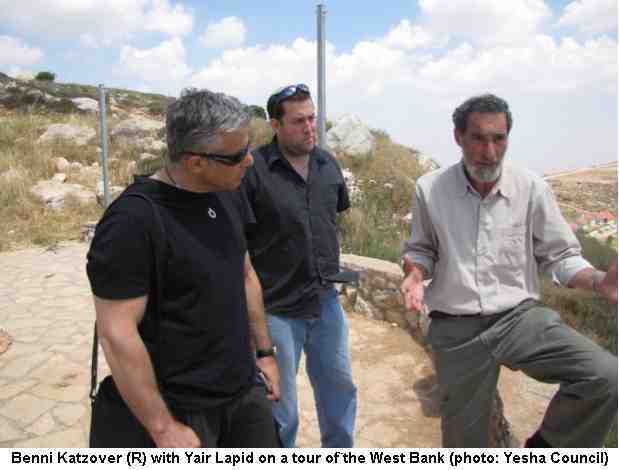 Katzover has been at the forefront of a religiously inspired movement to take over the West Bank, helping build a network of settlements over four decades that are now home to hundreds of thousands of Israelis. Today, he argues that democratic principles, such as equality before the law, have become an obstacle to deepening Jewish control over all of the biblical Land of Israel - though he stops short of calling for dismantling Israel's democratic institutions. They are disintegrating on their own and losing legitimacy in the eyes of the public, he believes. "We didn't come here to establish a democratic state," Katzover says. "We came here to return the Jewish people to their land." Katzover's comments appear to reflect a growing radicalization among some right-wing religious groups, coming at a time of a rise in attacks on Palestinians by vigilante settlers and an increase in complaints by liberal Israelis that the country's right-wing parliament and government have launched an unprecedented attack on the pillars of democracy. 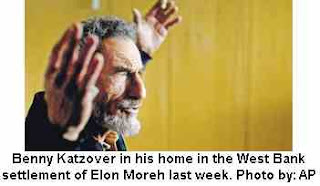 Katzover, 64, led the first group of settlers into the northern West Bank in the 1970s and helped establish the settlement of Elon Moreh in 1980. Like other prominent settlers, he has been a confidant and informal adviser to a string of prime ministers over the years. "Across the country, these ideas, that democracy needs dramatic change, if not dismantling then at least dramatic change, these ideas are very widespread," he says. The mainstream settlers' umbrella group, the Yesha Council, distanced itself from Katzover's comments, first made in a small ultra-Orthodox publication and picked up by Haaretz earlier this month. The Yesha Council was firmly committed to democratic principles, said its chairman, Dani Dayan. Yair Sheleg of the Israel Democracy Institute said the radicalization of hardline settlers accelerated after Israel's 2005 withdrawal from the Gaza Strip. Israel uprooted nearly two dozen settlements, including four in the northern West Bank, and the operation was deeply traumatic for the settler movement. Sheleg said he was surprised by Katzover's tough tone, if not the content of his remarks. "We should be very worried," he said. "Benny Katzover was considered to be historically one of the mainstream leaders of the settler movement, and this really illustrates the way, the very far way, those mainstream settler leaders went." I’m reminded of Marx’s saying when news reaches me of yet another assault of human rights in Israel. ‘A nation that oppresses another nation will not itself be free.’ In the cause of the virulent and racist nationalism that stalks Israel, all dissent from Israel’s small left is being silenced in the cause of ‘national unity’ ‘Zionist goals’ an ‘existential threat’ and all the other manifestations of the mentality of a siege state. You justify limitations on freedom in the cause of the national good (following on from good ol’ misunderstood Adolf) and you end up with no freedoms at all. Israel has set itself on a course, the end of which will be that even the tokens of democracy that remain will be extinguished by the McCarthyist atmosphere that has taken hold. And because Israel is a settler state, there is no mass left-wing or working class politics there. 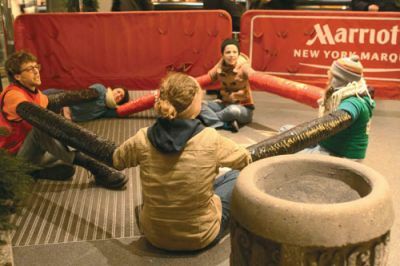 Any alternative movements, like that of the tent protests, took place outside the political mainstream – although Israeli Labour tried to jump on the bandwagon. 'The students carried signs against racism, house demolitions, etc., which violates the director general's circular [i.e. ministry regulations],' ministry tells school. 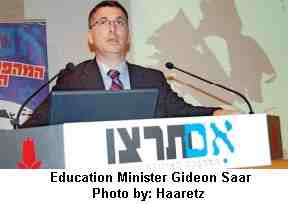 The Education Ministry reprimanded the Arara High School and demanded clarifications after the school participated in a human rights march in Tel Aviv at the beginning of the month. "The students carried signs against racism, house demolitions, etc., which violates the director general's circular [i.e. ministry regulations]," stated the letter sent to the school. "This was a praiseworthy initiative by the students as part of their assignment in civics class," countered one of the school's teachers. "What better way to express civic involvement and internalize the material?" A bus with students from the tenth, eleventh and twelfth grades went to the march, which was sponsored by the Association for Civil Rights in Israel, on Friday three weeks ago, another teacher said. All the students had approval from their parents and all the students chose to participate, with the encouragement of the student council. "It was a celebration of human rights," the teacher said. "There were students who said at the end of the march that this was one of the most important and significant days in their lives." "A thousand civics classes couldn't give what that hour they spent there could," she added. But in its letter to the school, the ministry objected to the fact that "the students participated in a demonstration in the framework of a civics lesson on the subject of human rights" and carried placards, saying this goes against ministry regulations. It therefore asked the ministry's regional supervisor and the school's supervisor to deal with the matter and report back to the ministry. The signs were prepared by the students at their own initiative, said one of the school's senior staff members. "The signs were against racism, for peace, equality and social justice. Did anyone thereby say that the state is racist?" In its response to the ministry, the school quoted Education Minister Gideon Sa'ar's message in honor of International Human Rights Day in November: "Your role as educators, who serve as guides for your students, is to teach them that alongside protecting and defending human rights, there is an expectation that they demonstrate involvement and personal responsibility," Sa'ar wrote then. No comment had been received from either the ministry or ACRI as of press time on Tuesday night. 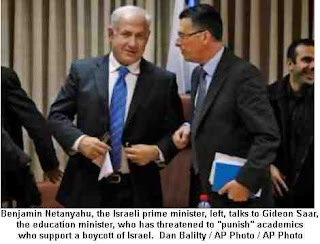 NAZARETH // Hundreds of Israeli college professors have signed a petition accusing the education minister of endangering academic freedoms after he threatened to "punish" any lecturer or institution that supports a boycott of Israel. 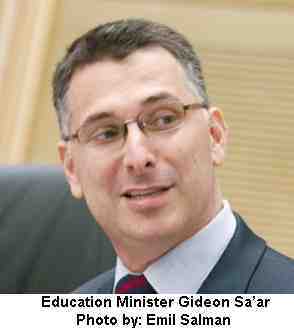 The backlash against Gideon Saar, a member of the prime minister Benjamin Netanyahu's Likud party, comes after a series of moves suggesting he is trying to stamp a more stridently right-wing agenda on the Israeli education system. The education minister has outraged the 540 professors who signed the petition by his open backing of a nationalist youth movement, Im Tirtzu, which demands that teachers be required to prove their commitment to right-wing Zionism. Two of Mr Saar's predecessors, Yossi Sarid and Yuli Tamir, are among those who signed the petition, which calls on the minister to "come to your senses … before it's too late to save higher education in Israel". Mr Saar's campaign to "re-Zionise" the education system, including introducing a new right-wing Jewish studies syllabus and bringing soldiers into classrooms, has heightened concerns that he is stoking an atmosphere increasingly hostile to left-wing academics and human-rights activists. Neve Gordon, a politics professor at Ben Gurion University in Beersheva who called for an academic boycott of Israel last year, has reported receiving death threats, as has a school teacher who refused to participate in Mr Saar's flagship programme to encourage high-school recruitment to the IDF. Daniel Gutwein, a professor of Jewish history at Haifa University, said: ""A serious red flag is raised when the education minister joins in the de-legitimisation of the academic establishment. This is a method to castrate and abolish Israeli academia." Mr Saar's sympathies for Im Tirtzu were first revealed earlier this year when he addressed one of its conferences, telling delegates the organisation would be "blessed" for its "hugely vital" work. The youth movement emerged in 2006 among students demanding that the government rather than ordinary soldiers be held to account for what was seen as Israel's failure to crush Hizbollah during that year's attack on Lebanon. It has rapidly evolved into a potent right-wing pressure group. Its biggest success to date has been a campaign last year against Israeli human rights groups that assisted a United Nations inquiry led by Judge Richard Goldstone in investigating war crimes committed during Israel's assault on Gaza in 2008. The human rights organisations are now facing possible government legislation to restrict their activities. Im Tirtzu's latest campaign, against what it calls "the reign of left-wing terror" in the education system, was backed by Mr Saar during a parliamentary debate last month. He told MPs he took very seriously a report by the movement claiming that anti-Zionist professors have taken over university politics departments and are silencing right-wing colleagues and students. Mr Saar also warned that calls for boycotts against Israel were "impossible to accept" and that he was talking to higher education officials about taking "action" this summer, hinting that he would cut funds for the professors involved and their institutions. Yossi Ben Artzi, the rector of Haifa University and the most senior university official to criticise Mr Saar, warned him against "monitoring and denouncing" academics. He added that the Im Tirtzu report "smells of McCarthyism". The universities are already disturbed by a bill submitted by 25 MPs last month that would make it a criminal offence for Israelis to "initiate, encourage, or aid" a boycott against Israel and require them to pay compensation to those harmed by it. The bill is likely to be treated sympathetically by the government, which is worried about the growing momentum of boycott drives both internationally and in the occupied West Bank. Mr Netanyahu has called the emergence of a boycott movement inside Israel a "national scandal". Prof Gordon, who wrote a commentary in the Los Angeles Times a year ago supporting a boycott, said Im Tirtzu had contributed to a growing "atmosphere of violence" in the country and on campuses. Hundreds of students at his university have staged demonstrations demanding his dismissal. 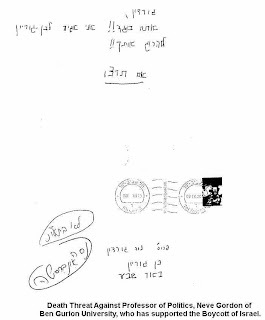 He was also recently sent a letter from someone signing himself "Im Tirtzu" calling the professor a "traitor" and warning: "I will reach Ben Gurion [University] to kill you." 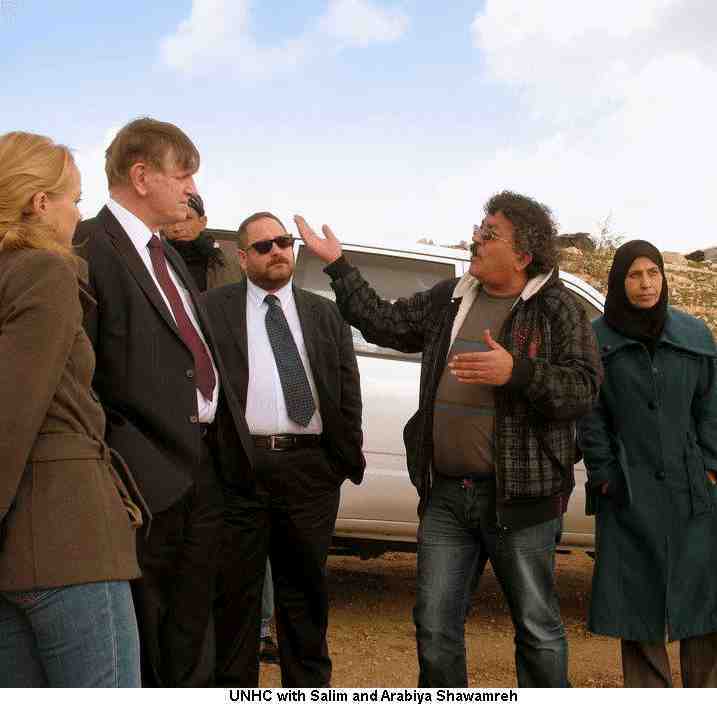 Prof Gordon said: "I have tenure and Im Tirtzu cannot easily get me fired. But they are trying to become the 'guards at the gate' to make sure other academics do not follow in my path." He cited the recent case of Assaf Oren, a statistics lecturer and peace activist who had been told he was the leading candidate for a post in Ben Gurion's industrial engineering department until right-wing groups launched a campaign against him. Also in the sights of education officials are hundreds of Arab nursery schools, many of them established by the Islamic Movement, that have been accused of sowing anti-Israeli hatred in the minds of Arab children in Israel. Mr Saar appointed a special committee last month to inspect the schools and shut them down if they were found to be teaching "anti-Israel" material. Arab MPs have called the claims "ridiculous", pointing out that the schools were set up after the education ministry failed to build nursery schools in Arab communities. 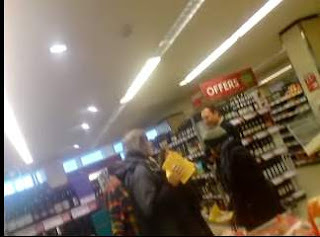 Today a group from the Brighton Palestine Solidarity Campaign visited Waitrose supermarket in Western Road to persuade its customers not to buy Israeli produce. After a lively demonstration inside the store, the group continued leafleting and demonstrating outside. Waitrose stocks assorted herbs, avocados, cucumbers, peppers, potatoes and citrus fruit from Israel - all of which produce is available from other sources. The group received support from many customers who agreed that money spent on Israeli produce goes to bolster the Israeli economy which invests heavily in armaments to suppress the Palestinian and kill innocent civilians. Many people were also aware that Israel itself has all the hallmarks of an apartheid state - denying equal rights to its Palestinian citizens with some 30 laws discriminating against them. 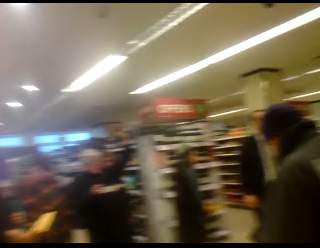 Waitrose supermarkets have refused to even consider banning goods from illegal settlements, as have sainsbury and Tesco. This morning a group of BDS activists visited B&Q on the Lewes Road in Brighton to speak to them about their sale of Keter Plastic products. In 2005 Palestinian civil society called for a BDS movement against Israel until it complied with international law and ended its human rights abuses. Israel destroys Palestinian lives, homes and livelihoods on a daily basis. It is continuing its construction of settlements and the apartheid wall in the West Bank despite these actions being declared illegal under international laws. Nor will it lift its suffocating blockade of the Gaza Strip. In Brighton, Palestinian Solidarity activists have now turned their attention to Keter Plastics. Keter Plastic is a large Israeli manufacturer of plastic products such as garden and indoor furniture, tool boxes and storage products. The products are widely available throughout the UK and several lines are stocked in the DIY superstore. Keter has a factory in the illegal industrial settlement of Barkan, in the occupied West Bank. Here, as in settlement industrial zones across the region, some of the most harmful and polluting Israeli industries take place, exploiting the captive Palestinian workforce. As well as being built on stolen land, the environmental effects of these industrial zones has a devastating impact on Palestinian communities. 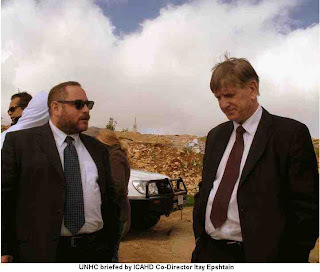 The Barkan settlement dumps industrial waste and sewage into the Al Matwi Valley – contaminating a vital water source for local Palestinian villages. The manager took our letter and said that he had heard that head office was phasing out Keter products. We will write to head office and try to check out the veracity of this. We are writing to inform you that your store is stocking goods sourced from an illegal Israeli settlement in the occupied West Bank, which has been declared illegal under international law. Keter Plastic is a large Israeli manufacturer of plastic products such as garden and indoor furniture, tool boxes and storage products. The products are widely available throughout the UK and several lines are stocked in B&Q Brighton. Keter Plastic has a factory in the illegal industrial settlement of Barkan, in the occupied West Bank. Here, as in settlement industrial zones across the region, some of the most harmful and polluting Israeli industries take place, exploiting the captive Palestinian workforce. In 2006 Palestinian civil society called for a global BDS movement against Israel until it complied with international law and ended its human rights abuses. 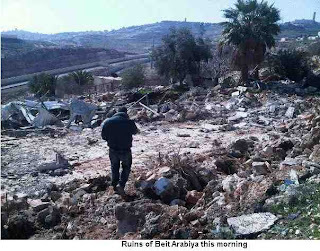 Israel destroys Palestinian lives, homes and livelihoods on a daily basis. It is continuing its construction of settlements and the apartheid wall in the West Bank despite these actions being declared illegal under international laws. Nor will it lift its suffocating blockade of the Gaza Strip. The BDS movement has had several successes in recent years in targeting businesses which operate unlawfully, profit from the military occupation of the Palestinian territories and contribute to the abuse of Palestinians' human rights. We ask you to stop selling Keter Plastic goods and, as a person of conscience, to support the call to boycott Keter Plastics and other Israeli goods. How has the Government changed DLA? Q Can the over-65s no longer get the mob­ility component of Disability Living Allowance (DLA), or is it meant only for new claimants and those already getting the DLA higher rate mobility component? Can those in care still receive it? Also, are children and over-65s to be assessed or is it only for people of working age? The Government’s Welfare Reform Bill will abolish DLA for working age adults (16-64 years of age). People over 65 but receiving DLA appear to have avoided this round of cuts. Working-age disabled people will need to be re-assessed for the new “PIP” benefit, the Personal Independence Payment. The Government’s aim in introducing the PIP is to cut 20 per cent of DLA costs by 2015-16, a saving of £2.1 billion. They are hoping to do this by paying £675 million for a new assessment process to ensure the PIP is not accessed by as many people as DLA. The PIP will also have no equivalent low-rate care payment, meaning that the 643,000 people receiving this support from DLA are now at risk of losing help. However, the Welfare Reform Bill does include provisions automatically to end PIP payments at the point when someone retires or turns 65 (whichever is higher). This means that people receiving PIP would have to apply for Attend­ance Allowance (AA). AA provides no mobility support and, if enacted, this change could see thousands of older disabled people losing support and the ability to stay independent. The changes also mean that a 61-year-old man who has recently qualified for DLA may face a new PIP test in two years’ time and a further AA assessment when he reaches 65, with potential cuts to support and independence with each new assessment. At Disability Alliance, we think the new PIP test will waste public resources. The Government’s plans may have knock-on costs during this tough economic period, through rising (but avoidable) NHS use, increased demands on council support and losses to the Treasury from disabled people and carers being forced to reduce or give up work. Q Having recently had pins put in the top two or three verte­brae to stabilise my neck, I can no longer move my head in any direction, which makes it very difficult to carry out normal activities. Whom can I contact to see if I am eligible to be registered disabled? If I am, what does this entitle me to, and how do I go about getting my entitlement? Elaine. Our experiences as disabled people are so varied that we are eligible for different things, and there’s no one definitive definition of what it means to be disabled. I’ll give you a few examples. The Equality Act has a very broad definition, including those perceived to be disabled and those associated with a disabled person (e.g. a parent or partner). That’s because discrimination on grounds of disability happens in all sorts of ways to all sorts of people. • disability-related income support benefits, which are means tested. Why not get in touch with your local disabled people’s organisation (do an internet search or look in the phone book). You may find it helpful to be in touch with people with similar experiences and you can pick up lots of useful advice too. 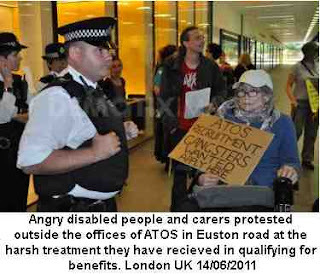 On Saturday 28 January, activists from Disabled People Against Cuts, Disabled People's Direct Action Network and UK Uncut will occupy an area of central London in a ‘daring and disruptive’ act of civil disobedience in opposition to the government’s Welfare Reform Bill which is currently being debated in the Lords. The activists are angry about the impact that the proposed Welfare Reform Bill will have on poor and disabled people. Recent reports have shown that as a result of the bill 500,000 families stand to lose their homes while others will become ‘imprisoned in them’. Nearly half a million people would lose their Disability Living Allowance, including disabled children. People with terminal illnesses would be forced into work, and 3.2 million will be put through demanding tests that have already pushed some to take their own lives. According to their own research, the government’s flagship reform will push 100,000 children into poverty. The bill continues to be debated in the Lords, but will have to return to the House of Commons, where MPs will vote on peer's amendments to the bill. 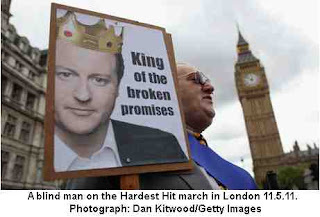 In spite of strong criticism of the bill from disabled peers, David Cameron has already sworn that he will call on coalition MPs to overturn the amendments. 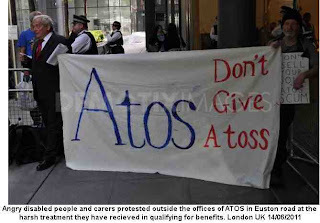 Cuts to disabled people's benefits and services will not save money but will ultimately cost the taxpayer far more as pushing disabled people into destitution and withdrawing care services will lead to an increased demand for NHS care. With the cap on benefits some single disabled people living in London will be left with only £25 a week to meet all their needs for food, heating and all other costs after paying their rent." “British people are proud of the welfare state because it has provided for the 99% for over 60 years. This bill will remove vital lifelines and force people into deeper poverty, making many prisoners in their own homes. This Bill is simply not needed or wanted by anyone. There are alternatives- we can afford a fair welfare system that provides for all." In a US Republican debate candidates Romney and Gingrich vent disinformation to demean the people of Palestine as they vie for Israeli lobby favoritism. Press TV has interviewed Ralph Schoenman, Author of the Hidden History of Zionism from Berkeley about the entities that financially support Romney and Gingrich in their presidential campaign and how these financier's imperialist interests are being played out in the Republican debates. What follows is an approximate transcript of the interview. Press TV: Interesting comments coming out of debate in Florida. What do you make of it? It seems that Romney and Gingrich were basically trying to top each other almost as if they are running for prime minister of Israel instead of president of the US. Schoenman: Actually, all of these candidates are basically front-men for the structure of power in the US, intimately linked to finance and corporate capital and to the military itself. The principal advisers of both Newt Gingrich and Mitt Romney have close ties to the military industrial complex. In fact, their national security advisers service corporations that have something like 7.3 billion dollars in contracts and benefit directly from the militarization of the Middle East, from military aid to Israel and from the general imperial onslaught on peoples of the region. Specifically, the Adelson family that is financing Newt Gingrich, made its money out of corruption namely the bribing of people in Macao for the building of casinos. They are billionaires and have given over ten million dollars to Gingrich in the recent campaign - having previously funded Binyamin Netanyahu and his election campaigns in Israel. These are people who are linked to the same corporate and financial apparatus that sustains Barak Obama and his administration in power. A key advisor, for example, of Mitt Romney is Cofer Black and another is Rabbi Dov Michael Zakheim who ran Pentagon operations, notably computer ground control of aircraft, for the Bush Administration. Cofer Black is the person long associated with the CIA program of torture and assassination and is one of the principal figures in Blackwater-XIE, the mercenary apparatus that has sustained operations for Central Intelligence as a private contractor. Indeed there are as many troops in Afghanistan that are mercenary troops run by the likes of Blackwater, directed by such as Cofer Black, as there are formal troops of the US government itself. Press TV: If you were to talk to the average American trying to figure out what's going on and later on in November whom to vote for are you saying that it really does not make a difference because they are all coming from the same basic apparatus with the same perspective? Schoenman: Yes. That's long been understood in the US. The two parties are what we call the one big property party with two names. It's financed by the same apparatus and they're all intimately linked to the Pentagon and to the corporations that benefit from military contracts and from imperial control over resources of the peoples of the world. As I say, the key advisors of both Gingrich and Romney have the most intimate ties with the military industrial complex and with corporations that receive billions of dollars of benefit. Now, in the case of Romney, in this particular debate he declaimed that Hamas is led by people who want to exterminate all Jews and who launched "thousands" of rockets upon Israel, both statements that are patently absurd and false. He announced in this debate that he would immediately move the US embassy to Jerusalem and recognize Israel as an exclusively Jewish state. These political flacks for corporate capital are falling over each other in competing to sustain the legitimacy of the Zionist state and its most aggressive posture and to demean and, in racist terms, to denigrate the Palestinian people. The Palestinian Centre for Human Rights (PCHR) strongly condemns arresting a Palestinian patient from the Gaza Strip by the Israeli Occupation Forces (IOF) at Beit Hanoun (Erez) crossing. The patient was heading to a hospital in the West Bank for medical treatment. PCHR is concerned that he may be subjected to torture, especially as he was supposed to undergo a surgery. According to investigations conducted by PCHR, IOF arrested Bassam Sha'ban Fu'ad Raihan, 24, from Jabaliya refugee camp in the northern Gaza Strip on 19 January 2012, as he was traveling to al-Mezan Hospital in Hebron through Beit Hanoun (Erez) crossing to undergo surgery. In her testimony to PCHR, the patient's aunt and companion, Na'ima Fu'ad Sha'ban Raihan, 49, said that the Israeli officer at Beit Hanoun crossing informed her that Bassam was arrested, gave her Bassam's belongings and ordered her to return to Gaza. Sha'ban Fo'ad Raihan, 50, the patient's father, said that he received a phone call from IOF informing him that his son is detained in Ashkelon prison. The patient has been detained so far. PCHR believes that the policy adopted by IOF to arrest patients is a serious violation of international humanitarian law. Furthermore, it is a form of cruel, inhumane and degrading treatment, especially as it is part of the illegal closure imposed on the Gaza Strip that aggravates the suffering of patients whose treatment is not available in the Gaza Strip hospitals. It should be noted that IOF positioned at Beit Hanoun crossing arrested two patients from the Gaza Strip while they on their way to West Bank hospitals for medical treatment in November 2011. 3. Calls upon the international community, including the High Contracting Parties to the Fourth Geneva Convention, to fulfill their obligations and stop violations of international law committed by IOF against the Palestinian civilians. The Israeli regime continues to impose punishing pressures on Palestinian residents in the besieged Gaza Strip, arresting a patient seeking to leave the enclave for medical treatment. Aed Zeyadeh was arrested last week by Israeli authorities as he was about to depart Gaza for treatment, a Press TV correspondent reported on Monday. “My children and I were totally dependent on my husband and all of a sudden he is not here, and now we have to wait five years to see him again,” said Zeyadeh's wife. The health ministry of the Palestinian movement of Hamas has condemned the arrest and indictment of Zeyadeh. Yousef Modallal of the Hamas health ministry said the detention of Zeyadeh proves Israel's ill-treatment of Palestinians at crossings and checkpoints. “Zeyadeh wanted to receive treatment in the West Bank but was arrested even after being granted an exit permit by the Israeli security agency. This shows that the permit was nothing but a bait to lure him into prison,” Modallal added. There has been a climb in the number of Palestinian patients arrested by Israeli forces at the Erez crossing in northern Gaza in recent months, according to the Palestinian Non-Governmental Organizations Network (PNGO). “Not only our patients are humiliated at the Erez crossing, but they are also being arrested now and then. The number of arrests continues to increase. We call on the international community to step in and put an end to sufferings of people in Gaza,” said Amjad al-Shawwa of PNGO. The Israeli regime laid an economic siege on the Gaza Strip in June 2007 after the democratically-elected Hamas lawmakers took over the administration of the enclave. The Tel Aviv regime denies some 1.5 million Palestinians in Gaza their basic rights, including the freedom of movement and their rights to appropriate living conditions, work, health and education. This is just another example of the horrors of Israel's occupation of the West Bank. The repeated demolition of Palestinian homes, under Regulations inherited from the British. At the time, when they were used by the British against (occasionally) the Zionist terrorists, they were denounced as 'Nazi laws'. This is a good description. Laying to waste the homes of civilians and making them homeless is what happened between 1933 and 1941 to Jews in Germany and Austria. The Zionists have had very good teachers. At 11:30 p.m. on that cold, rainy night, I got a panicky phone call from Salim Shawamreh, a Palestinian man from the West Bank town of Anata whose home has been demolished by the Israeli authorities four times and rebuilt as an act of resistance each time by ICAHD. “Army bulldozers are approaching my home,” he cried. It prides itself on being ‘the only democracy in the Middle East’ with the world’s ‘most moral army’ but like all armies of occupation there is little that they are not capable of when it comes to violating basic human rights. And after 45 years they have honed their expertise in cruelty down to a fine art. But even the animals that make up Israel’s Occupation Forces have excelled themselves in devising methods of torture of Palestinian children. Not merely striking, shackling, using electric shock torture, stress positions etc. In other words the normal methods of torture used by the occupation forces. Children are also imprisoned in isolation for weeks and months. Solitary confinement is, in itself, a form of torture as is the use of sleep deprivation. And if not satisfied with their hidden methods of cruelty, the children are brought into court shackled and chained, like armed convicts. But it is in accordance with the law, according to Israel’s equivalent of Dr Goebbels, Mark Regev. Yet the Police haven’t arrested and thrown into solitary confinement even the adult stone throwers. Unlike the West Bank, live ammunition isn’t used against the demonstrators, on the contrary. Orthodox demonstrators in Jerusalem and elsewhere are treated with kid gloves. Perhaps more than anything else, this demonstrates the inherent racism in Israeli society (since live ammunition is used against Israeli Arabs’ demonstrations). This also throws into question the role of the International Committee of the Red Cross. In Nazi Germany the Red Cross were used to provide a seal of approval for the concentration camp system by allowing itself to be shown round the 'model' camp at Thereinstadt (most of the inmates had been shipped to Auschwitz). They likewise visited the Czech children's camp at Auschwitz, which was exterminated shortly after the visit. Israel is now using the IHRC, like the Americans did at Guantanamo, to 'kosher' the torture of children. Hard questions need to be asked about the Red Cross, and their pledge not to reveal details of what they see, when the torturers use them as an alibi.